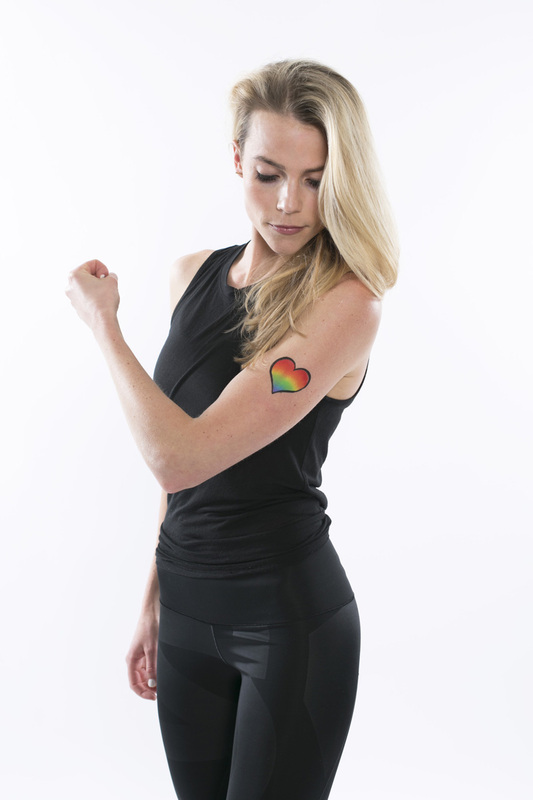 On Monday, June 20th, 2016, nearly 200 members of the NYC fitness community and beyond came together at Bandier in Flatiron for "Guns Against Gun Violence," a campaign conceived by The Sweat Life Founder, Aly Teich in collaboration with photographer Chris Fanning, and fundraising platform Spotfund, in response to the mass shooting at Pulse Nightclub in Orlando and in support of all victims of gun violence. Together we stand in solidarity, using the strength of our “guns,” to show that love will always be stronger than hate. Art and hearts Face Art By Melissa.